LARA is still smart, popular, regularly upgraded and remains a fixture in the company's iNELS product portfolio. Even after so long, it has not found any competition, yet. Thanks to its functions, it holds its place at the top for technology and design. One small device with the size of an ordinary power switch hides not only a radio and a music player, but also an intercom, a videophone and a controller for the entire audio zone. 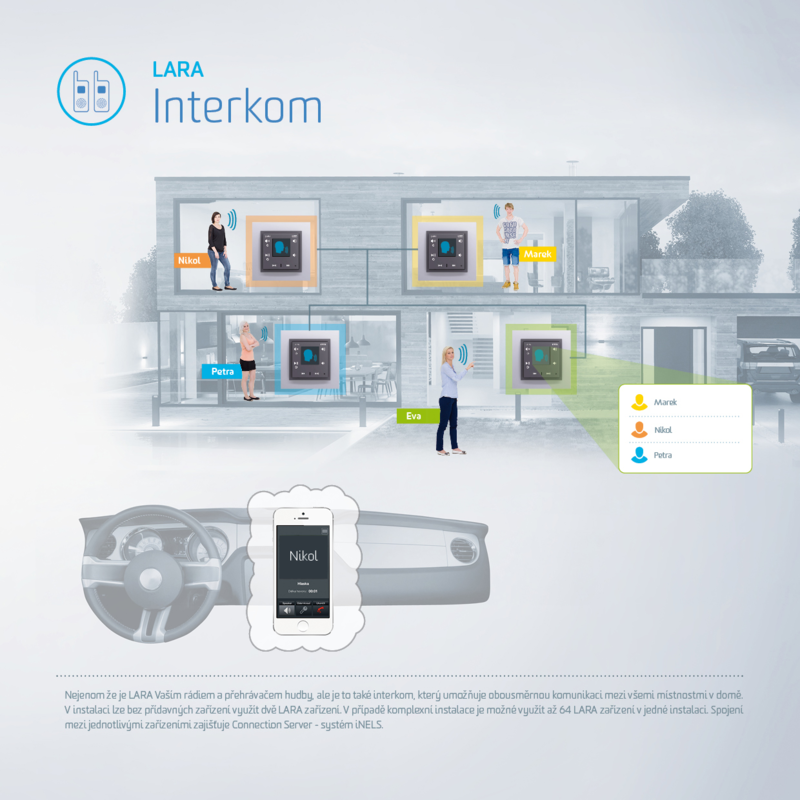 LARA can be installed in homes, also in waiting rooms, wellness, offices and other commercial areas. It is also very popular in hotels where guests can enjoy in-room music and communicate with the hotel services. Radio is the basic feature that LARA offers. It plays Internet radio with crystal clear sound without interference and allows you to pre-set up to 40 favourite stations. It has a built-in 2x 10W amplifier and can be connected to an external amplifier or home cinema. Music can be played either directly from a smartphone, iPad, MP3 player, or external NAS data storage. 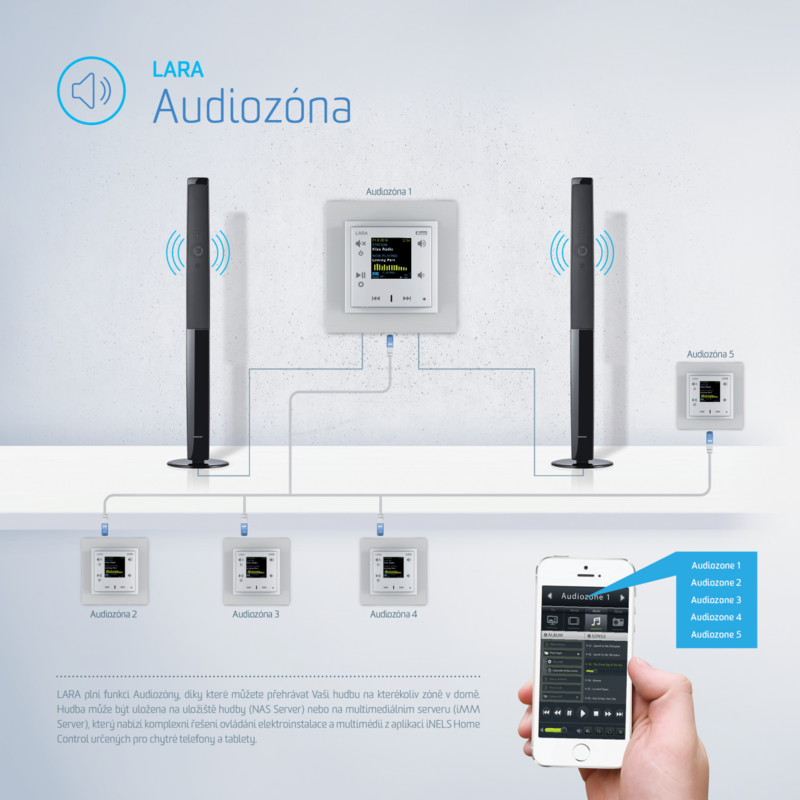 With the LARA Dio application, you can control all LARAs’ from a single device, such as a smartphone or tablet running Android or iOS. 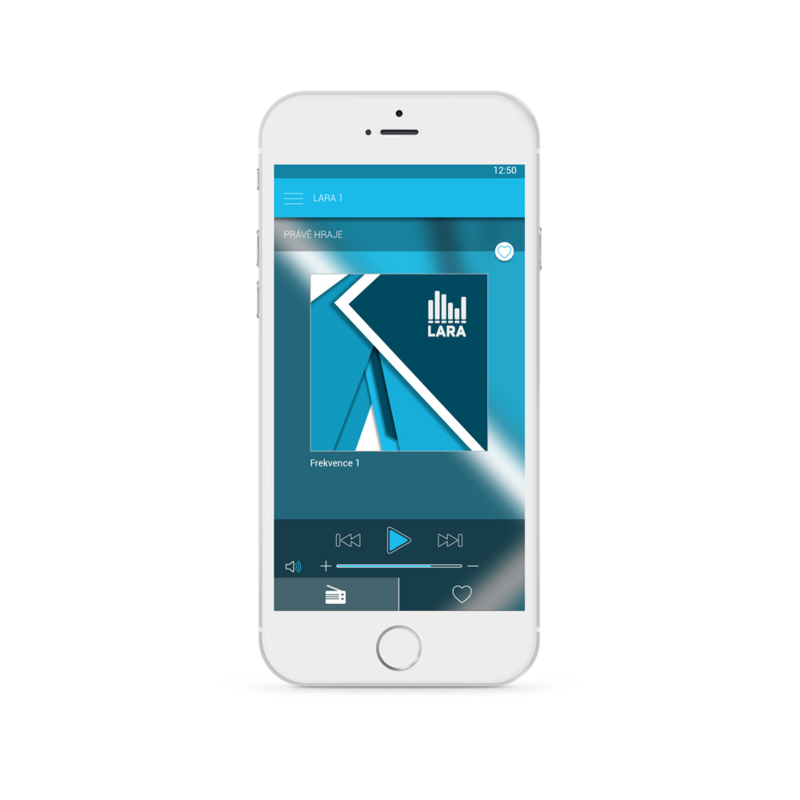 The application control is very intuitive, for example, the user can easily save or change their favourite stations at any time. LARA also acts as a videophone. It can be connected to the doorbell which gives the user information about the visitor who has just arrived. On the colour display, the user can watch the feed from the security entrance camera and can connect with the visitor via LARA or the mobile application and open the gate or door. In a similar way, with the intercom functions, these make it possible to communicate between all the rooms in the house. 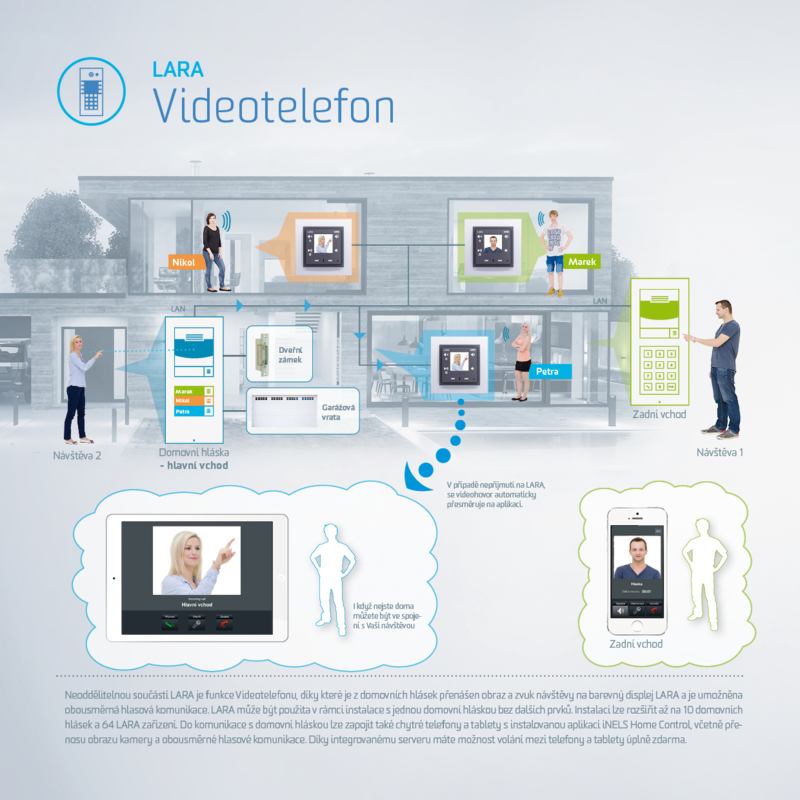 You can simultaneously communicate with up to eight LARA devices. 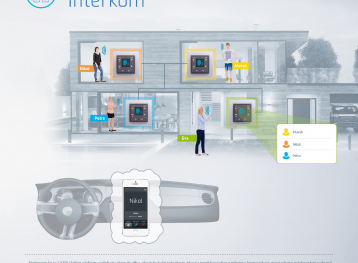 In addition, you can communicate (voice / video) with smartphones using iNELS Home Control as well. LARA has many variants and designs. That's why iNELS offers an online LARA Configurator, where the user can easily set the selected features: frame size, design, speaker types, and more. The user gets a hands-on overview and instant pricing. The menu created with the configured parameters can then be sent by email or ordered directly.